26 year old Chandna from Village Nabisar says: The most beneficial feature of provided medical services is the free of cost treatment by a trained healthcare team and quality medicines given for free. Before Community World Service’s health project, we used to suffer because of the lack of Female Medical Officer in our area and we had to travel long distances for treatment and we also used to spend a lot on medication. 30 year old Roopan, from Village Bheel Paro Hyderfarm says: When I was pregnant for the first time, I was very stressed as there was no Female healthcare service provider nearby and we had to travel far away to DHQ hospital in Umerkot even for a routine checkup but now as Community World Service Asia has provided a Female Medical Officer in the Rural Healthcare Center of Hyderfarm, we are very happy. 32 year old Kheeraj from Village Hyderfarm says: We are now getting quality healthcare services in RHC Hyderfarm, thanks to the Community World Service Asia. We are very happy that Community World Service Asia has been able to address the long standing issue of the poor people of Hyderfarm who in the past were not able to get quality healthcare in the nearest health center. 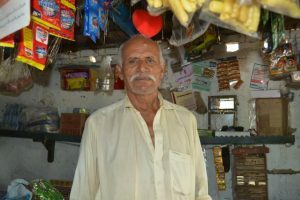 58 year old Pandhi from Hyderfarm says: When my wife and granddaughter were sick, I took them to MNCH center in RHC Hyderfarm where the Female Medical Officer checked them and apart from prescribing them some medication, she also briefed them fully about their illness and how it can be prevented. I was very impressed with the behavior of all the staff and I was also satisfied with the standard of treatment at the health facility and how it has improved since Community World Service Asia started working here. Now, my wife and grandchild are better and I am very happy that such quality care is available. 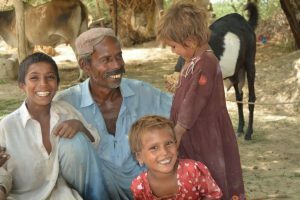 42year old Bhamro from Village Nabisar Road Says: After Community World Service Asia started its services at the Rural Healthcare Center, my wife takes our children there incase of any illness while I can carry on with my work in the fields. Before this facility, we had to take them to Kunri hospital which is quite far but now as quality healthcare services are available at the RHC and there’s no cost of treatment, my work doesn’t get affected. 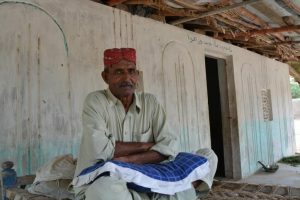 50year old Chailo from village Hyderfarm Says: I am a shopkeeper and in the past, during any illness we had to spend our savings to get the medical treatment for my family, on top of it we had to travel for miles. Now because of RHC, we can avail free of cost quality medical services and also save money to spend it on improving the quality of life for my family. 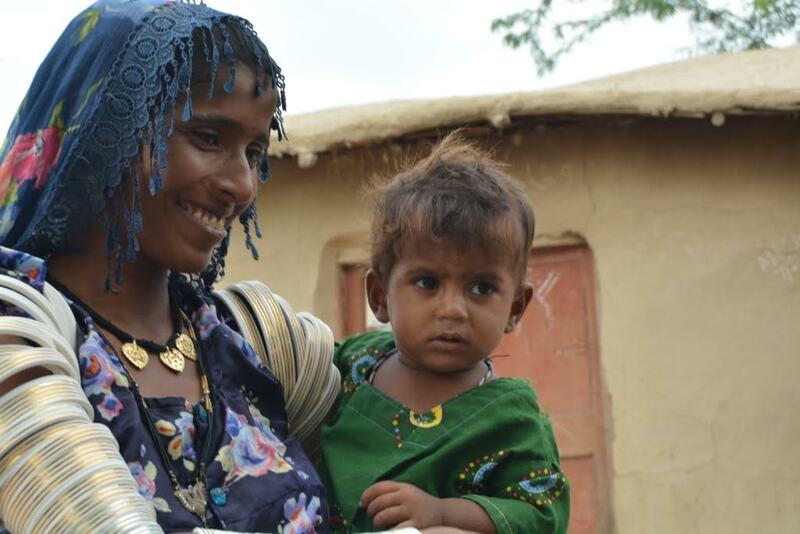 Community World Service Asia is operating three Rural Healthcare Units (RHU) in Hyderfarm Taluka, Nabisar Taluka Kunri and Dhoronaro in district Umerkot in Sindh. These healthcare units provide curative and preventive health services to the communities. The RHUs located in Hyderfarm and Nabisar also consist of an outdoor patient department (OPD) and provides free consultations and essential medicines to patients. Labour rooms are operational at all the three health facilities. The staff at these healthcare units include female medical officers, lady health visitors (LHVs), medical technicians and social mobilizers. The health services at these RHUs focus primarily on reproductive health of women of child-bearing age. Disease Early Warning System (DEWS) and Health Information System (HIS) have also been established at two of these health facilities.